Computers and technology are omnipresent today. Screens abound and with them frequent contact with our loved ones far away ("Hey Grammy! "), instantaneous access to information ("Yes, it looks like pelicans really do eat crabs! "), directions to new places and many more awesome opportunities. But they also bring with them dangers that we, as parents, are growing increasingly aware of. Is the solution to lock away all screens and return to a frontier lifestyle? Perhaps. But more likely it's simply to teach our children wise technology usage and model good behavior. Books can always help, so here are a few worth investigating as you encourage your children to be wise, unplug and use computers and technology to do awesome things (like code!) rather than just waste time. And don't worry, we threw in a few about computer history as well... because who doesn't love Ada Lovelace!? This little robot, Blip, ends up getting unplugged during a blackout and tumbles her way outside, where she enjoys the outdoors and makes new friends. After a fun day, she goes back home and plugs back into the computer she loves, but misses being unplugged. I like that this book portrays the message of being unplugged without being preachy, and I loved that the illustrations are all black and white until Blip goes outside. Meet Blip. Blip loves being plugged into her computer. When a blackout occurs, Blip trips over her wire and tumbles outside. Suddenly, Blip's gray world is filled with color and excitement. She plays with her new friends and has adventures all day long. When Blip finally returns home, she realizes that the world can be even brighter once you unplug. While this isn't one I'd enjoy reading over and over again at storytime, it is a delightful introduction to programming that both has a story that makes things relevant to children and includes some actual code and coding principles! A good introduction to programming concepts. A little tedious to read. Covers the idea of breaking down problems into solvable chunks, if/then/else statements and loops and sequences. This book comes shaped like an iPad. It's humorous and tells the story of Tek, a caveboy that's too interested in his computer, tablets and gameboys to go outside and play with his dino friends. From a beloved, bestselling Caldecott Honor recipient comes a hilarious reminder of how technology can take us backward... all the way to the times of prehistoric man! Tek is a cave boy in love with tech: his tablet, videogames, phone, and TV keep him deep in his cave, glued to his devices, day in and day out. He never sees his friends or family anymore--and his ability to communicate has devolved to just one word: "UGH"! Can anyone in the village convince Tek to unplug and come outside into the big, beautiful world? A distinctive package and design cleverly evokes the experience of using an electronic device that eventually shuts down... and after a magic page turn, Tek (and the reader) reconnects with the real world. Big, brainy science for the littlest listeners Accurate enough to satisfy an expert, yet simple enough for baby, this clever board book showcases the use of logic, sequence, and patterns to solve problems. Can Baby think like a coder to fix her train? Beautiful, visually stimulating illustrations complement age-appropriate language to encourage baby's sense of wonder. Parents and caregivers may learn a thing or two, as well! A timely and cautionary tale about the perils of misusing the internet One night Chick hops onto the farmer's house and has a browse on his computer--CLICK--soon she's shopping online for the whole farm! But when she arranges to meet up with a friend she's made online, she discovers all is not as it seems. . . Little Red Riding Hood for the iPad generation, this is the perfect book for teaching children how to stay safe online. Written and illustrated by John C Vanden-Heuvel Sr.
Show your little ones HTML markup code along with letter forms to get them started on the visual patterns and symbols that make up the essential building blocks of the Web. Written by Andrey Ostrovsky MD, Tom Holmes and illustrated by John C Vanden-Heuvel Sr. This alphabet primer for the new technology generation—and its parents—brings essential coding words and concepts to young developers-in-training. Featuring beautiful modern tech illustrations and introducing the rich vocabulary of the web-design world through whimsical, geeky rhyme, this unique ABC picture book doubles as a fun and fascinating foray into the World Wide Web. 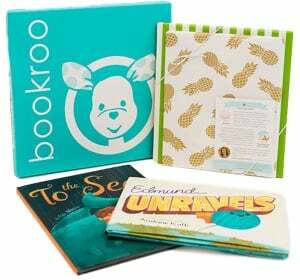 Certain to amuse, inspire, and educate, it is the perfect fit for any web-creative parent or gift giver. At Vanguard One Middle School (aka Vainglorious), the halls are crawling with robots, but Fuzzy isn't your run-of-the-mill android. When Fuzzy enrolls at Vainglorious as part of the Robot Integration Program, he is quickly befriended by Max, who is determined to help him learn everything he needs to know. The middle school of the future is just as fraught with crazy kids, tricky teachers, and bad smells as the middle school of today. Add in some evil schemers, and you have real trouble. Together, Max and Fuzzy reveal the super-secret, nefarious purpose behind the Robot Integration Program. They must fight to save the school before it's too late. Fuzzy is one girl's quest to befriend a robot, survive middle school, and save the world.